"Take my love, take my land, take me where I cannot stand. 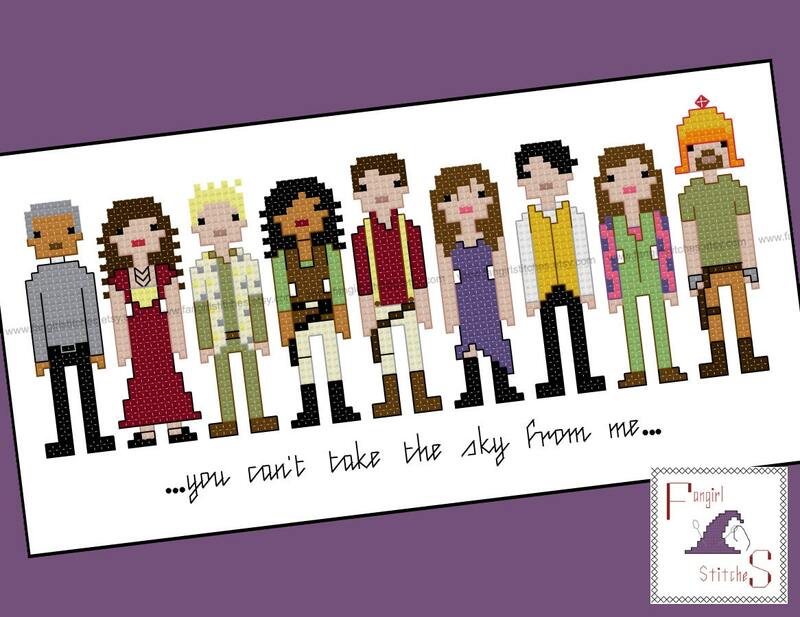 Recreate the world of Firefly and Serenity with this cross stitch pattern featuring the main characters from Joss Whedon's cult-classic television show and movie. 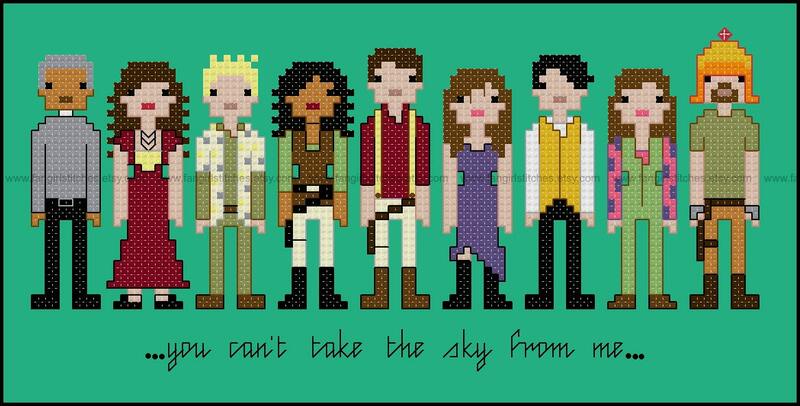 Finished design: will fit an 8 x 10 inch frame or an A4 frame. This design includes whole stitches, half stitches, back stitches, and a few French knots, and is suitable for beginner stitchers. This is a parody (inspirational) work. 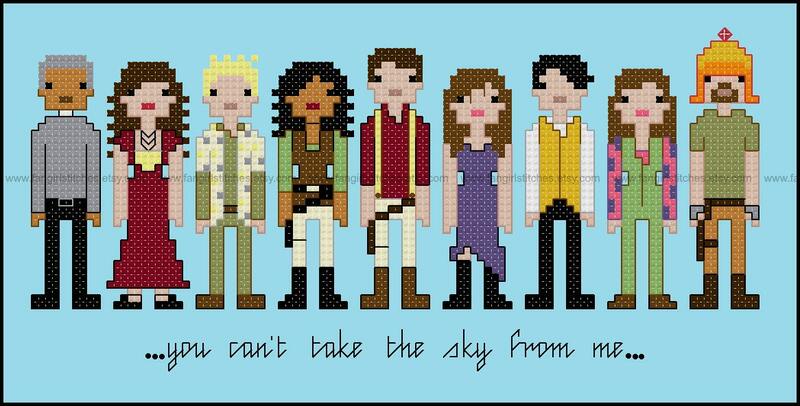 Firefly, Serenity and its characters are the property of Joss Whedon, 20th Century Fox and Mutant Enemy. This work is not sponsored, endorsed by, or affiliated with Joss Whedon, Mutant Enemy, 20th Century Fox, or any of its subsidiaries or affiliated companies and/or third party licensors.